Not meant for internal consumption- Safe or not? 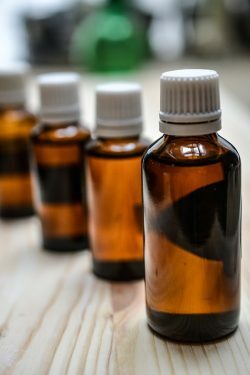 What are the best essential oil brands to buy? Which is the right brand for you? By now, you probably know essential oils are good and that they can be used for a whole wide range of purposes. Everything from helping you sleep, lowering stress, repelling bugs, in house hold cleaners, and so on. You get it, you want to try them, but you don’t really know where to start. Don’t worry, you’re not alone. This is a super common situation. 2 Not meant for internal consumption- Safe or not? 3 What are the best essential oil brands to buy? 15 Which is the right brand for you? 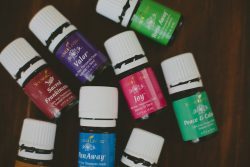 When I first started using essential oils, I looked up some of the more popular scents and blends and went straight for Young Living Difussers and oils. They’re super well know, really highly regarded, and I figured that if I was going to get any type of results, I should use good quality oils. I’m super happy with my choice because it only made me fall in love with essential oils more. However, since then, I’ve also tried a number of other essential oil brands, to compare the coast, quality, and selection between different companies. With so many options out there it can get overwhelming picking which ones to buy. Maybe you already use these brands, maybe you’ve heard of them but are not quite sure yet, or maybe you’re looking to try something completely different. If you need any help or more information picking the right essential oils, you’ve come to the right place! Here is a basic guide to help you get started and explore some of the most popular and most well rated brands of essential oils on the market. The first concern when it comes to selecting your essential oils is safety. You want to make sure your oils, and the company you purchase from, are committed to the safe picking, processing, packaging, and distribution. Making essential oils requires a whole long process before it get into your hands, you want to make sure you buy from a company that is looking after its product the whole time. Think of it in the same way you think about food, the more you know where it is grown, how it is stored, transported, if there are any added chemicals, and so on, the better you feel about eating (or in this case using) it. Right? The good thing is that most of the well-known brands are safe, but it is good to know that there are some less than reputable companies out there that should be avoided. Companies with trained aroma therapists will also be able to come up with new blends and uses for the oils, with your, and their best intentions in mind. Start with a good company and that should take away 90% of the concern. If you want to take a closer look into your essential oil supplier, here are some qualities to look out for in a company. Check if the company sells essential oils from endangered plants. Unfortunately quite a few companies do this, because they think it makes their product more exotic. See if they have their own farms, or at least oversee the farms where the plants are grown. These suppliers are more invested in their product and really committed to making sure nothing artificial, or dangerous is added to the oils from start to finish. Keep an eye out to see if the company supports the unsafe use of oils. Many companies, in order to sell more oils, will say that their oils are find to ingest or use undiluted. Most of the time these practices are not sound and are not supported by the Alliance of International Aromatherapists. Just like anything you eat, or put on your skin, you want to double check that they’re safe and that they won’t cause stomachaches or irritated skin. This is not completely necessary, but more of a good will gesture. The making of essential oils doesn’t have to be harmful to nature. We’re actually using natural oils to help us, so it is only fair that we treat mothernature well. Many companies are eco-friendly and use environmentally safe practices, and I recommend making that a factor in your decision of which brand to go with. This shouldn’t limit you too much since, many of the best quality oils come from companies know that the best oils come from gentle treatment and preserving the purity of the plants they’re extracted from. Avoid companies which don’t talk about which part of the plant they’re extracting the oils from. This matters for some plants. For example, cinnamon bark and cinnamon leaf oils come with different dilution guidelines for each, which should be mentioned when sold. Avoid companies which sell essential oils from products that should not, at all, be used with them, like horseradish and mustards. Bonus points for a company that has extra warnings about using their oils for children. The biggest concern is how much you would want to dilute the oils, when they are used in direct contact to your skin. This is important because kids often haver more sensitive skin than adults. Pregnant and breastfeeding women might also want to check to see if there is any information about using essential oils while breastfeeding. If there is no extra information, that’s not necessarily a bad thing, just make sure you’re oils are top grade to begin with. If you’ve ever wondered if essential oils are safe for children, we’ve finally answered question. Be careful of companies which don’t give safe dilution guidelines for topical use and claim that essential oils last forever. Just like make up, or cooking oil, nothing last forever. There are some things you can do to help prolong the life of your oils, but they all do expire at some point. The oil’s shelf life is determined by its chemical composition. Some oils tend to oxidize faster than others. Some have a shelf life of only 1-2 years, some last between 3-5 years, while others can last up to 6 years. I’ll be making another post soon covering this in more detail, but any reliable company should be able to give you a good estimation of how long your particular oil will last. It’s ideal if the company sends samples of their suppliers’ essential oils to 3rd party chemists, and not in-house testing, for verification for purity before selling to customers. Though this may not mean that the essential oils have passed, you can always check their GC/MS reports which are usually posted on their website. Find detailed information where is the best place to buy essential oils. There is a lot of confusion about the topic of ingesting essential oils. Generally, the rule of thumb to follow is to avoid ingesting these oils, unless the company specifically says they’re safe to do so. However, lots of great recipes incorporate these oils and it would be a shame to miss out. Lavender into your ice tea on a hot day can be very relaxing, just as lemon oil into your stir-fry or salad dressing might speed up your metabolism. I personally like a little bit of peppermint oil in my tea to rejuvenate and energize me. The better the oil quality, and the more controlled process of extraction and distillation, the more likely it is that your essential oils are safe for ingestion. While you look through different brands, you’ll notice that both smaller and larger companies say that their oils are ‘not for internal consumption.’ This doesn’t mean these oils are necessarily inferior quality oils than the oils that don’t have this label. Bigger companies can afford to pay for insurance that enables them not to have to put these labels on. The hope is that if there are no labels, more people will buy them, and they will make enough money to cover this insurance cost. Always double check with the specific supplier to see if your oils are safe to consume, and how to dilute it. Alright, now you know what you’re looking for when you buy essential oils. But how are you supposed to cross check all these things with all the brands out there? That’s a lot of work! It is indeed. To help out a little bit, I’ve made a little review of some of the more popular companies in the market today. They’re not listed in any particular order. Check out a few, or all of them, to get a better idea of a particular company’s history, selection, processes, and quality. Then you can pick which oils and carrier oils you want to try, switch to, or be sure that you’re already using the right ones. A little information never hurt anyone right? However, they ran into some trouble when they tried to trademark the name ‘Heritage’ for their essential oils, so they changed the name of their company from Heritage to Hopewell Essential Oils. You might hear the company be called either name, or just by their HEO acronym. I particularly like this company because Hopewell Essential Oils uses the best quality and finest essential oils for therapeutic use. They use Certified Organic, Organic, Wild Crafted, and ethically farmed essential oils for all their blends. Their oils are GC/MS analyzed and pesticide free. They all undergo mass spectrometry and gas chromatography testing before purchasing to ensure its exact composition and activity.In less technical terms, this process analyzes, identifies, and separates the oils. This makes sure that each oil is only made with extracts that should be in them, making them one of the safest oils on the market. All of Hopewell Essential plants used for the oils are grown on organically nourished soil without using pesticides, chemical fertilizers or fungicides. The plants are harvested at the ideal time and carefully distilled for therapeutic value. This is why their oils are used and recommended by health care professionals, medical doctors, chiropractors and alternative health specialists. 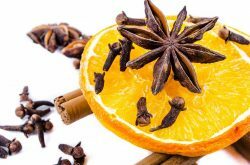 Their most popular blends include Plague Defense which helps fight off and prevent winter colds and illnesses, as well as Bacteria Top Gun and Warrior which help fight sinus infection. Their Balsam Fir is also a fan favorite for soothing headaches. As a company, Hopewell is very open and transparent about their dilution process, ingredients, and other information throughout the extraction process. They get a thumbs up in my book. Their 1 oz. bottles cost between $0.40- $1.45 and is considered really low when compared to other brands. Rocky Mountain Oils Company was founded in 2004 by a group of enthusiasts with the aim of developing pure and safe essential oils the entire family could use. This is direct-to-consumer company, with no plans of using multi-level marketing techniques to sell their products. They cater their oils from small organic farms located worldwide. All of their oils are graded 100% pure and therapeutic. They stand behind their assurance of quality when you buy their oils. Just because they’re a small company doesn’t mean they’re not as good. In fact, in many cases, the oils that come from smaller farms are superior to other because there is more quality control. Rocky Mountain Oils offer their oils in 100 single, and 75 blends, which you can choose from for your various and individual uses. Their oils are widely used by people all over the world in for both houses, offices, studios, and other common area. They are confident in the standards they maintain and back their oils with a 100% satisfaction guarantee. Their more popular blends are mixtures used for nerve repair, building immune strength, and relieving respiratory problems. Rocky Mountain Oils offers a 90-day guarantee with a complete refund if you are not satisfied with the oil, proving the company’s integrity. They also have their range of diffusers which come with a one year warranty. The company did merger with Native American Nutritionals in 2012, but each maintained their individual names and branding. NAN is located in Orem, Utah and is the company’s world headquarters. Here they use state-of-the-art bottling lines and machinery to distribute both oil lines. North American Herb and Spice (NAHS) was founded in 1999 by Judy Kay with the intention of educating the public about the powers of eating raw whole foods. The company uses 130 unique essential oils made from herbs and spices to treat everyday problems using NAHS Therapy. The idea behind this concept is by using the freshest ingredients possible, you will be able to get the most benefits out of them. Which is what NAHS aims to do with their essential oils. All their products are environmentally safe and chemical free, safe to use by anyone. The company is always working on new creations to help improve their consumer’s health. If you’re looking for uncommon blends, this is a great company to start with. 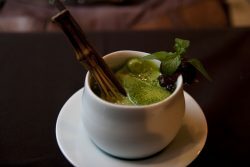 Some of the new blends are improvement on their previous products, while others are completely new and offer a cure for previously untreatable issues. All you need to do is visit their website to learn more about products. They have a product catalog and a PDF version of product information sheets you can use to decide if a particular product will benefit you. You will also be able to find about recommended daily usage, , ingredients used, and a summary of what the individual products do. They start with 15 ml bottles starting at $18 and have larger bottles costing more. they are rather expensive when compared to other brands. Mountain Rose Herbs is the first Fair Trade Certified medicinal herb supplier in the US. It was founded in the year 1987 by herbalist Rosemary Gladstar to provide California School of Herbal Studies herbal materials and supplies. Though it’s now based in Eugene, Oregon it had shifted location from its initial Humboldt County California to several residential addresses and then to commercial addresses under several different owners to finally move into a larger facility in Eugene, Oregon in 2010. The company strives at producing the best essential oils which is why all their products are certified organic. Their motto is ‘People and planet before profit,’ and they really mean it. The company has earned itself many certifications and awards, including the non-GMO project certification, proving the company works at creating better and green business practices. The Mountain Rose Herbs essential oils are available in various price ranges while most of them are quite affordable, there are a few which are on the expensive side. Mountain Rose Herbs has excellent customer service, and are happy to share more details of their oils on their website. The only fault we could find with Mountain Rose Herb is that they don’t have any dilution recommendations provided for their oils, and there is no info about the safety of their oils for children. Ideally though, since they only use organic products, there is a reasonable assurance the oils are just as safe, if not more, when compared to other brands out there. Their 15 ml. bottle costs between $5-$24 and is relatively cheap when compared to other brands. Try their best selling oregano oil or the every popular black seed oil. While it was in the year 1982 that Aura Cacia was started; the company later merged with Frontier Natural Products Co-op in the year 1993. The merge was conducted with the intention of spreading the companies’ positive changes together and to create a strong presence in the aromatherapy industry. Moreover, you support organizations supporting women in transforming their lives through their Positive Change Project every time you buy an Aura Cacia product. Aura Cacia boasts of their range of essential oils made from simple and pure botanical ingredients. Their aim is to produce products using the help of nature’s ability at improving the well-being of their customers. They not only carefully source their ingredients from the best sources globally, but they also test all the essential oil shipments they receive to ensure and maintain its purity and quality. Aura Cacia is famous for their high-quality blends of essential oils. They are so dedicated to providing exceptional products and service that any item you are dissatisfied with can be refunded or replaced for any reason. The only requirement is that the goods to be returned have to be accompanied by its Return Goods Authorization number and that the return is made within 60 days of the invoice date. The company is proud to announce that the Quality Assurance International, a third-party testing organization has certified their best essential oils to be organic. The company has 89 single brands and 32 blends of essential oils to offer, and none of their oil products are rebottled. All their essential oils can be found in most department stores including major food stores, and it’s noted that essential oils from this company are much cheaper than most other brands. The only disadvantage here is that while the company makes both organic and nonorganic essential oils, most of their blends are non-organic. Moreover, while they do provide some educational information, most of the provided information has to be re-vamped and updated. They also don’t disclose much about how much their pre-diluted essential oils have been diluted. They just mention that it’s 3-5% range, which is fine for many users but not for children who need a 1% or lower dilution. Their 15 ml. bottle costs $6-$20 and is considered low when compared to other brands. If you’re interested, check out their discovery kit for only $19. DoTerra is a relatively young company which was founded in 2008 by health-care and business professionals who wanted to share their experiences and knowledge of the life-improving benefits of essential oils. While their headquarters is in Pleasant Grove, Utah, their offices are located around the world. The company has an ever increasing reputation for producing the best quality, certified, pure therapeutic grade, essential oils in the industry. They make their pure and potent essential oils using a low steam method of distillation and compression. This allows them to maintain consistency across all batches of oils, so you’ll always know what you’re getting. Their mission statement consist of bringing a new standard of therapeutic-grade essential oils to the world, and so far, they’re doing an excellent job. While DoTerra sources their oils from global growers, they subject all their essential oil batches to the CPTG Certified Pure Therapeutic Grade quality protocol to ensure the oils’ potency, purity and consistency are maintained in all batches. The company offers a no questions asked 100% refund or product credit if you are not happy with your purchase. The guarantee, however, may vary based on a certain timeline, and if you have opened the product or not. They’re truly known for their customer service. While most of DoTerra oils are on the expensive side, there is an affordable starting kit you can explore before selecting while oils are your favorite. Despite their price, they’re still less expensive when compared to Young Living. DoTerra is today one of the premier essential oil brands carving a niche in the wellness product industry. However, some people are turned off from the company because of its high rates and prefer more affordable essential oil brands. Another critique is, despite the fact that the company is so famous for making high-quality products, the company till date does not have their own plant growing farm. Their 15ml. bottle costs $20-$45 and is rather high when compared to other brands. Their introductory kit cost just $22. If you’ve ever wonders about the difference between the two most popular essential oil brands, find out everything you want to know about comparing doTerra vs.Young Living Essential Oils. Young Living Essential Oils is a fast growing MLM company that was founded in 1993 and has its headquarters in Lehi (Utah). With more than 24 years of experience Young Living has played a major role in informing and promoting the benefits of using therapeutic-grade essential oils, even before they became popular. Young Living follows a Therapeutic Grade standard for all their natural essential oils, thus preserving its integrity and potency. This is because the company uses the best ingredients and formulation processes for their oils and blends. They maintain a strong quality production chain through the cultivation of seeds from its harvesting and distillation methods. In fact, they have their own farms across the world where they distill most of their products. This is how, and why, Young Living can verify the quality of the standards of all process steps. They also use a gentle but proprietary steam extraction technique for distilling the most effective of their essential oils, and even use cold pressing and resin tapping methods for some other oils. The company is transparent about their manufacturing steps and the ingredients used in each oil. Moreover, the company follows revolutionary essential oil processing methods and does not support the industry’s habit of rebottling products. Young Living is proud to offer an extensive listing of their organic essential oils which is available in 78 different blends. All their oils are packed in amber brown glass bottles to shield its’ contents from sunlight and minimize the oil’s oxidation process. Which helps them last longer. They’re most popularly used with a Young Living diffuser, for ultimate conservation. Their quality speaks for themselves. Despite Young Living being one of the most expensive essential oils in the market today; there is still a market and demand for them. The company’s only drawback is that their oils are rather expensive and that they do occasionally run out of stock because of seasonal herbs and limited natural ingredients. Their 15 ml bottle costs $25 -$45 and is rather high when compared to other brands. See what makes them the industry leader with a sample of 8 of their most popular oils for just $35. Plant Therapy is a family owned company which though small, provides 100% pure and undiluted essential oils. This is because they source all their oils from the world’s top suppliers. They follow the belief that essential oils are can be extremely beneficial when used properly and guarantee 100% customer satisfaction on all of their products. To prove their authenticity and dedication in making essential oils, Plant Therapy have all their oils tested by a third-party laboratory. The lab tests the oils using GC/MS testing methods and is done by their in-house experts. GC here means Gas Chromatography which is a method of separating the volatile compounds in essential oils into individual components where a computer then produces a linear graph with charts of the individual components. Basically this means that they separate the oils they want from the stuff they don’t want, to make sure only the good stuff is used in the oils. Rest assured you’re in good hands while using Plant Therapy essential oils. 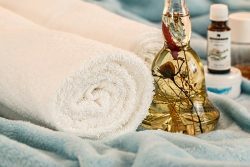 They have a team of aromatherapists on hand who are always ready to respond to and solve any problems, should you have any. Plant Therapy boasts of being one of the few essential oils company that has produced a full product line of KidSafe synergies specifically meant to cater to the health and well-being of youngsters. Find out the top essential oils for children. They can help battle a number of issues from keeping the moqsuitoes away, getting a peaceful sleep, or keeping your little one healthy and happy. If for some reason you are not happy with your essential oils, Plant Therapy is ready to refund your money immediately. Moreover, the company takes pride in their relationship with their customer and offers free shipping. Their goal is to promote the safe use of essential oils. By keeping their prices reasonably low, it ensures that everyone who wants to use the oils can. The one consideration to keep in mind with Plant Therapy is their limited selection of oils. There are plenty available, but since they don’t run their own farms, and are selective of their suppliers, they only work with limited products. However, this means that when you buy Plant Therapy oils, you know they’re real quality. Their 10ml bottle cost $6-$12and is rather low when compared to other brands. They also have many combo packs to choose from. Get started with 6 blends for only $30. Now Foods is a company which has been around for more than 67 years since starting in 1948. With their original focus on the manufacturing of health supplements and natural foods, it is only recently that they have ventured into the field of essential oils. Their headquarters are located in Chicago, Illinois. 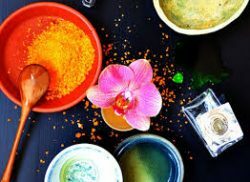 Over the years Now Foods has gained a good reputation for producing high-quality personal care products and some of the best essential oil blends you can find in the industry. They never compromised on the quality of products and uses a unique way of growing and harvesting specific plants and then distilling them to make essential oil throughout the year. They constantly interact with their growers to stay alert of any weather, soil, or seasonal changes so they can plan accordingly for optimal conditions and growth of their plants. All of Now Foods’ essential oils are either 100% cold pressed or 100% steam distilled oils. They’re known to be some of the highest grade oils available, but there is no official grading system in the industry. Now Foods maintains their oils’ integrity without any dilution, the use of substitutes, or synthetic products like other oil companies tend to. Consistency is just as important as quality to Now Foods. Batches are regularly compared and evaluated to make sure the aromas and the processing methods are the same for each batch. Now Foods also uses the most technically advanced quality control testing and analyzing processes available to maintain their oils’ high standards. They also ensure all warning and regulatory compliance are provided where required and that the bottle contains whatever is mentioned on its label. The only drawback are some customer complaints that their essential oil aromas are not very strong. However, since their prices are among the most affordable in the industry, many people use the oils for their cleaning and health benefits. 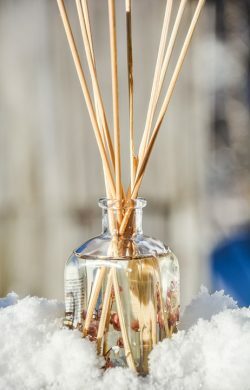 Fragrances aren’t as important when you use the oils for these purposes. They have two main bottle sizes. their 30ml. bottle costs $7-$20 which is medium when compared to other brands but their 120ml bottles cost $-8-$15 which is some of the lowest prices in the industry. Or try their sample pack for just $26 dollars. Edens Garden Essential Oils Company was established in San Clemente, CA in 2009. The company started with the dream of offering reasonably priced essential oils to the public without compromising its quality. Known for having some of the freshest organic and non-organic oils around, the company controls their products’ freshness and quality by rotating their stocks every two weeks. All of their oils are stored under minimal lighting, in a temperature controlled room, so that their essential oils remain fresh without comprising their therapeutic properties. All of Edens Garden essential oils are packed in amber glass bottles to make sure light doesn’t disrupt its integrity and properties. The oils don’t contain any fillers, additives or additional bases and are 100% pure. Eden Garden offers both certified organic and non-organic oils for you to enjoy. The company also offers a 30 day no questions asked refund policy which you can use if you are not happy with their product. Edens Garden has a huge collection of over 148 essential oil blends which they promote by offering deals, seasonal bonuses, and discounts throughout the year. This helps keep their stock moving and their product fresh. For the best current price, click on the link just below the company’s name. Standing out from other brands, Edens Gardens has recently released a line of kid’s essential oils, which are personalized towards their needs and their developing systmes. Their 10ml bottle costs $8-$20 which considered medium when compared to other brands. If you want a little sampling, their starter set with 6 blends is only $35. While all of these essential oils are popular and relatively safe to use, the most widely used brands today are Young Living, DoTerrra, Edens Garden, Mountain Rose Herbs and Now Foods. When you select your favorite, just use them with your nebulizing diffuser or ultrasonic diffuser at home or in the office. Don’t limit yourself there, portable diffusers are also available if you’re constantly on the go or diving. Do you have any experience with these brands or in love with another one? Share your knowledge! I would love to hear your feedback! My trouble now is finding the best way for essential oil storage. Remember, storing your oils the right way makes them last longer and helps keep their aroma! Seriously eyeing this beautiful essential oils box!